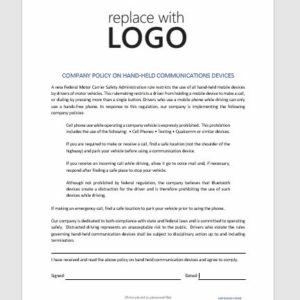 There are many thins that you can do to lower the risks associated with distracted driving and this printable template was designed to give you everything you need to get your companies policy on hand-held communication devices rolling’. Cell phone use while operating a company vehicle is expressly prohibited. This prohibition includes the use of the following: • Cell Phones • Texting • Qualcomm or similar devices. If you are required to make or receive a call, find a safe location (not the shoulder of the highway) and park your vehicle before using a communication device. If you receive an incoming call while driving, allow it go to voice mail and, if necessary, respond after finding a safe place to stop your vehicle. 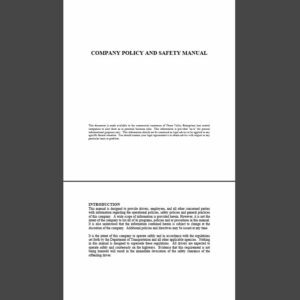 Although not prohibited by federal regulation, the company believes that Bluetooth devices create a distraction for the driver and is therefore prohibiting the use of such devices while driving. If making an emergency call, find a safe location to park your vehicle prior to using the phone. Our company is dedicated to both compliance with state and federal laws and is committed to operating safely. 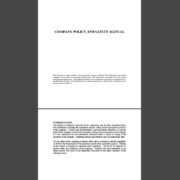 Distracted driving represents an unacceptable risk to the public. 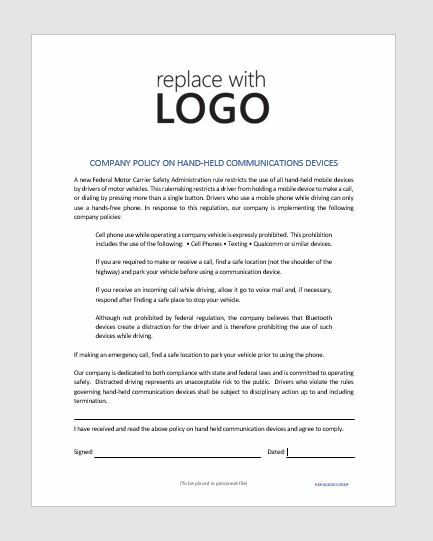 Drivers who violate the rules governing hand-held communication devices shall be subject to disciplinary action up to and including termination. This template solved my employee file issue immediately! Thank you CR Service Company.